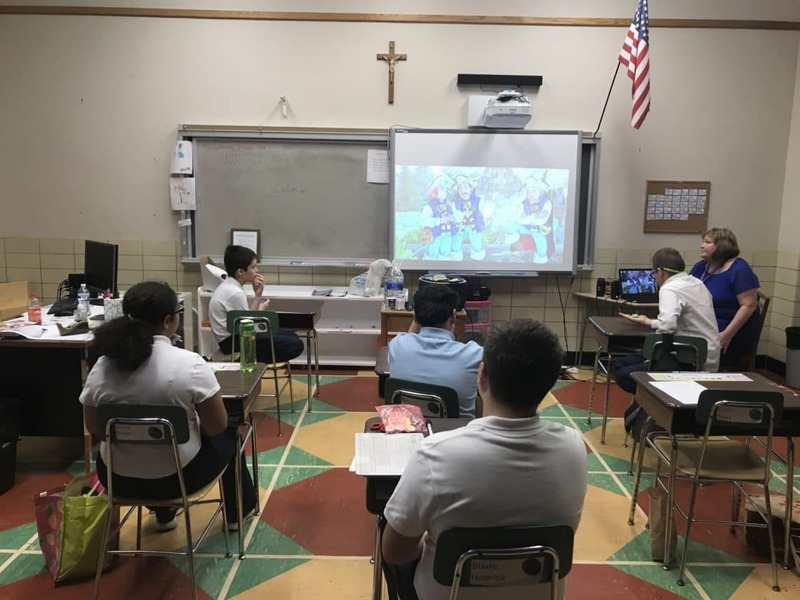 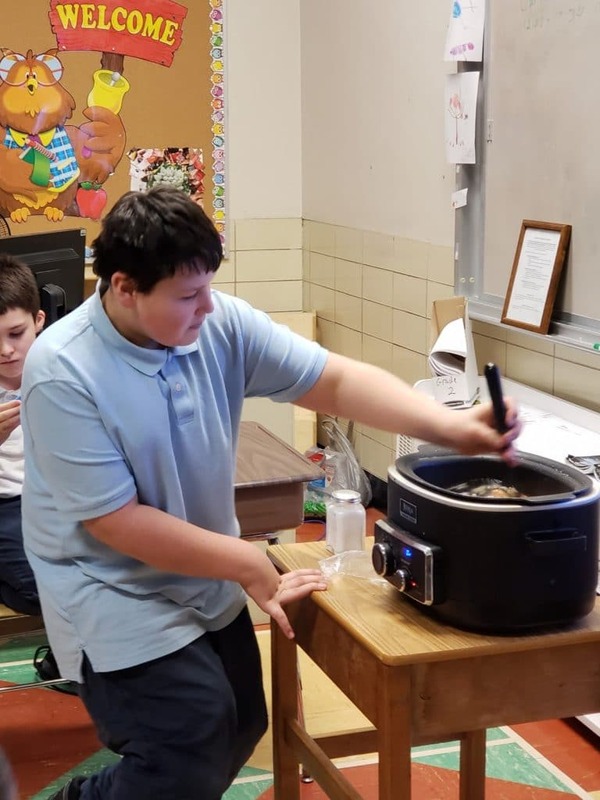 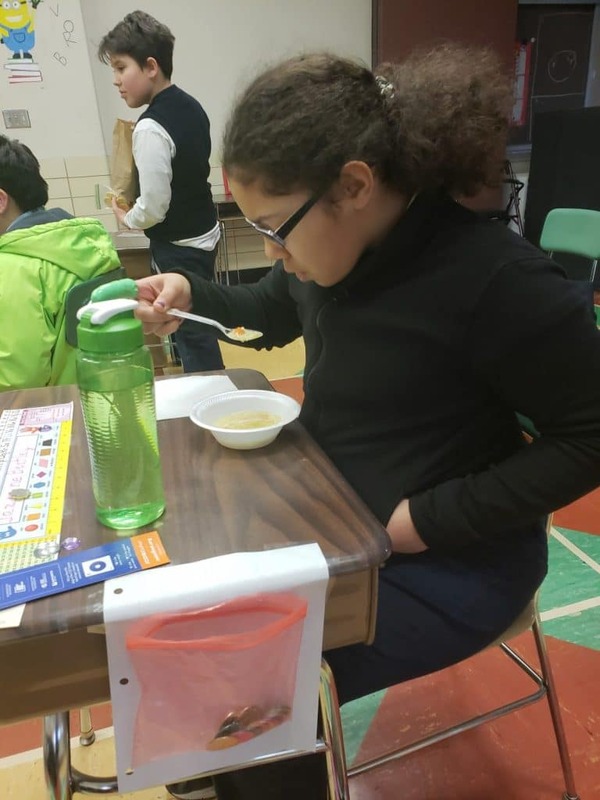 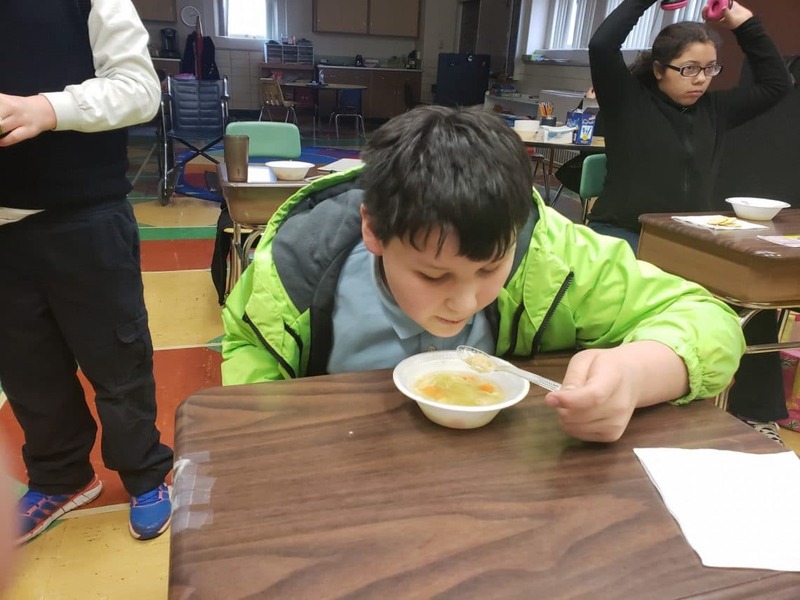 Students in San Damiano Hall watched the Stone Soup movie and then made their own stone soup for lunch! 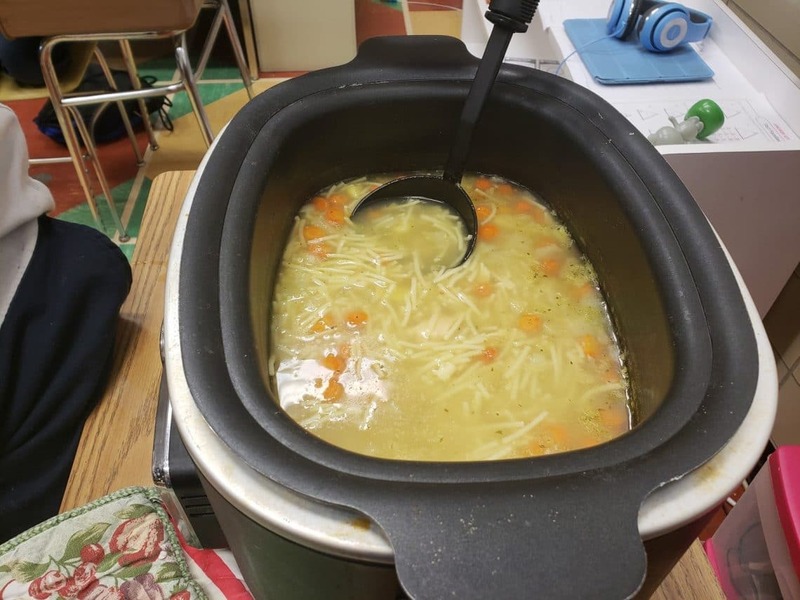 Each student helped by adding an ingredient to the crock pot and, Mmm, it was nice and warm and delicious. 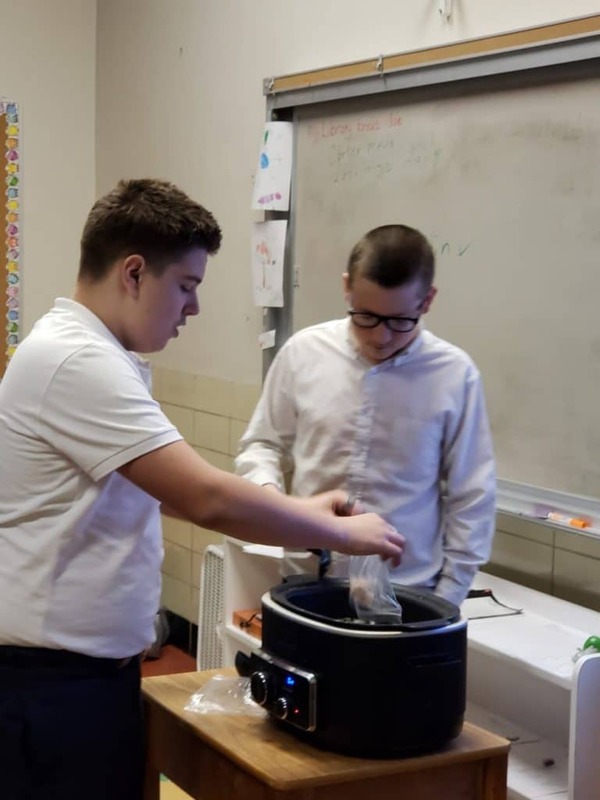 Thank you to Mrs. Wynn for sharing these photos.